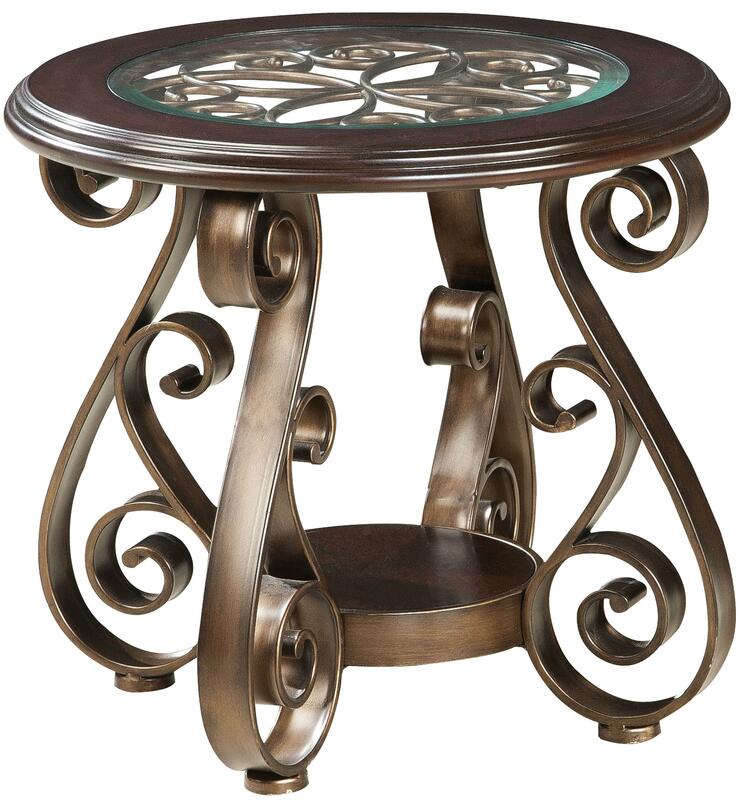 Give your living room an Old World Mediterranean look with this end table from the Bombay Collection. The ogee edged table top features a tempered glass insert supported by a scrolled metal grill. Complementing the grill, the base of the table features metal strap S-scrolled legs, which attach to a lower metal-banded wooden shelf. 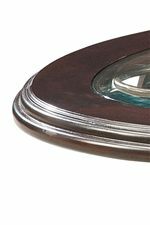 All wooden elements feature a beautiful dark cherry stain while metal elements feature an antiqued bronze finish. Complete the Old World look for your living room with the cocktail table and sofa table also in this collection. The Bombay Old World End Table with Glass Top and S-Scroll Legs by Standard Furniture at Great American Home Store in the Memphis, TN, Southaven, MS area. Product availability may vary. Contact us for the most current availability on this product. The Bombay Collection will transport your living room to the ancient past of the Mediterranean. The cocktail, end, and sofa tables feature tempered glass inserts encased in ogee edged wood frames. 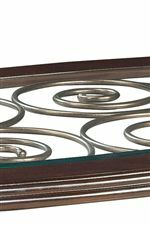 Glass tops are supported by a scrolled metal grill, and table bases feature metal strap S-scrolled legs, which attach to a lower metal-banded wooden shelf. 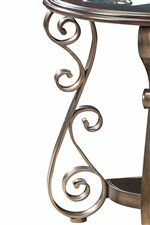 All wooden elements feature a beautiful dark cherry stain while metal elements feature an antiqued bronze finish. Bring Old World design to your living space with items from the Bombay Collection. The Bombay collection is a great option if you are looking for Traditional furniture in the Memphis, TN, Southaven, MS area. 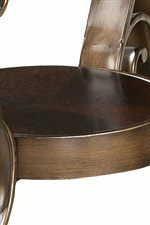 Browse other items in the Bombay collection from Great American Home Store in the Memphis, TN, Southaven, MS area.